If you are a first time buyer of water technology, or are looking to replace existing systems in your home or business, Culligan of Temple, TX is pleased to assist. 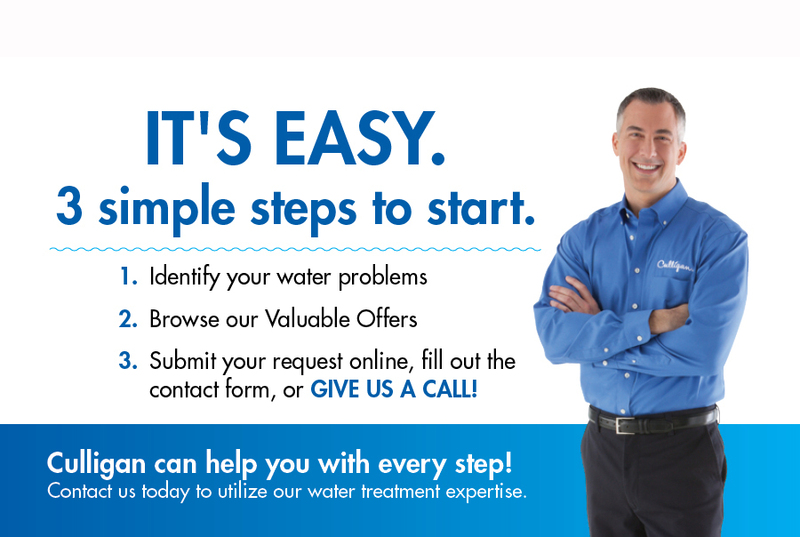 The first step is to contact Culligan via email or phone to let them know of any particular water situation you are concerned about. An experienced Culligan representative is very familiar with the water in your area, and can help you identify what may be causing your water challenges. Standard water tests are conducted at your home, and reviewed with you. If further testing is required, Culligan will assist in additional testing steps. Once your water situation is understood via testing, Culligan will know what solution to offer, and will quote the price for installation and purchase or rental. Follow up services such as warranty and maintenance, salt delivery, or bottled water delivery will also be included. Typical solutions include a high efficiency water softener, reverse osmosis drinking water systems, whole house filtration equipment, or other specially configured water treatment solutions.